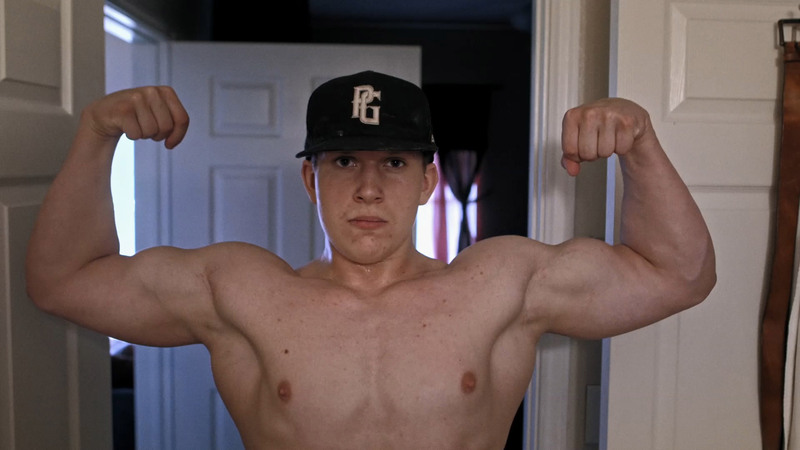 At 15 years old, BIGNATTYDADDY became notorious online for openly flaunting his use of anabolic steroids on social media. This short portrait explores his personal quest to achieve the perfect physique. It’s a common refrain that a documentary is only as good as its subject. Kudos to director John Merizalde’s for managing to find such an entertaining one to put on screen. “BND” is larger than life (both literally and figuratively). The casualness with which he discusses his drug use feels intentionally incendiary—the kind of thing you can imagine people ranting about in ALL CAPS on someone’s facebook wall. I mean, c’mon! Can you believe this kid? Here at Short of the Week, we often begrudge how overcrowded the short “profile doc” landscape is right now on the internet. But, the truth of the matter is, if you present us with a compelling protagonist, we’re still very much game. BigNattyDaddy isn’t exactly unique in its construction, but it’s a film that raises a lot of interesting topics without ever feeling hamfisted or overly manipulative. If you look beyond the drug taboo, the film almost becomes even more compelling: it’s a commentary on our look-obsessed culture, without ever being an outspoken think piece. “BND”’s persona is clearly designed to make you clutch your pearls in shock (how could this 15-year-old do this to himself?! ), but that’s not what I find most interesting. Rather, Jackson exists because the climate of internet celebrity allows him to exist (the selfies he constantly poses for are hard to ignore). To put it succinctly, outrage culture feeds its own monsters. Although he’s only 26, Merizalde’s is already a filmmaker with some substantial clout. His work has appeared on a variety of high profile internet outlets, from Dazed to Vimeo Staff picks. While he’s currently mainly working on commercials, he’s hoping to venture into the realm of featuredom soon.